Hello Klaus﻿!Welcome to YOUR Music!When has your relationship with music begun?! My relationship with music began when I was, like, less than 1 year old, actually. My parents used to make me listen to so much music when I couldn't even walk. My dad, specially. He used to turn the system up and videotape me while I was giving my "performances". I owe him my infinite passion for music, definitely. So, that's how it all started! 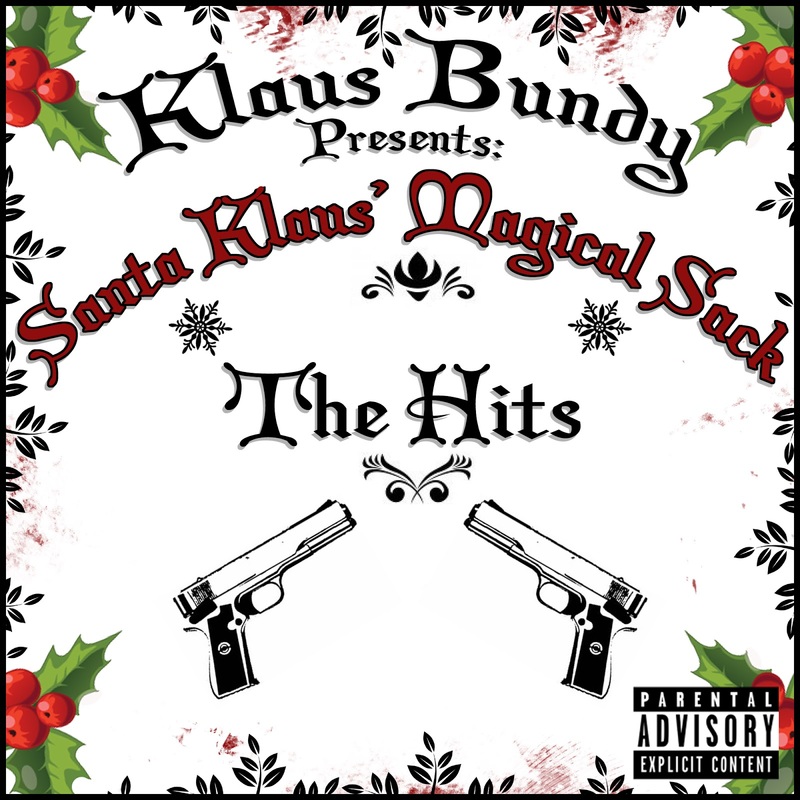 Your latest album "SANTA KLAUS’ MAGICAL SACK (THE HITS)" is already released!Tell us a bit about what it includes, and where we can find it! 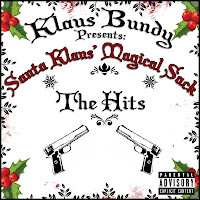 "Santa Klaus' Magical Sack (The Hits)" is a collection of songs I previously released. We can consider it a sort of "greatest hits". I put it together for Christmas, it was meant to be like a little "gift" for all my fans, a way to thank them for the support they had given me through the year, my first year as a recording artist. There you can find the best songs from my first three albums ("The Genesis", "Pieces Of Me" and "No Prisoners"), plus a couple of songs I dedicated to Christmas time. It's dope. You can find the album on my official website (www.klausbundy.com), where you can download it for free, or on my YouTube channel (www.youtube.com/klausbundy). That's old stuff, anyway. I'm comin' out with a new album this month, called "Evol", and other very interesting projects. I suggest y'all to stay tuned! I'd like you to make your self-criticism... What kind of person are you? Well... Like any other person on this planet Earth, I have a good side and a bad side. I'm far from being perfect, but I try to do my best to be the best person I can be, every day of my life. If I had to make some self-criticism, I would say I'm stubborn. I mean, this can also be considered a good quality, but sometimes being stubborn can make you fall into situations which can be very hard to come out of. But that's the way I am, I mean... I'm a man with a lot of passion for everything I do; when I come up with something, I just give all my heart and soul to it. I would say I'm just a man with a lot of determination, but extreme determination can put you in troubles, eventually. And I know that, but it's ok. Oh, and I also have a big mouth, no doubt. I'm not able to lie: if I don't like you, if something's wrong with you, I just speak it out. And once again, this can be considered a good quality, because that means I could never be a liar; by the way, the society we live in is too used to leave many things unsaid, so a man who doesn't follow this rule is seen as an alien. But I like it, I'm cool with it. Talking about myself, generally speaking, I'm just a normal man. Yeah, I'm very flamboyant, but it doesn't mean I'm a bad man or something. My parents raised me to be a good guy, they showed me the way. I live for strong emotions, strong passions. That's why being an artist fits me so well, I guess. Hip-Hop is my religion. It's my life. I breathe Hip-Hop. I didn't choose it, it chose me. It's just something that goes beyond rap music. It's my culture, the movement I'm part of. Yes, I'm white, but Hip-Hop has no color anymore. It's not about where you're from anymore, it's not about what's your race anymore. Hip-Hop has overcome all the social and political barriers, it's something we all can be part of, if we just have the right state of mind and show respect. I could spend thousands and thousands of words about this topic; by the way, I'm just going to say that I'm just trying to give something to this culture through my music, give my own contribution to make it proceed in the best way. I'm being humble with it, my feet are stuck on the ground, my heart is connected to my pen and my brain is focused. That's all there's to it. Do you believe that your country offers the chance to young artists to highlight their work? Well, first of all, I want to say that I love my country. I'm very proud to say I'm italian. Italy is a wonderful country, under many points of view. By the way, I believe that what I do is not something italian people feel that much. It's a cultural matter, I guess. 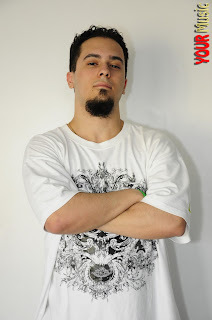 I don't make rap music in italian, I speak in english because I want my music to be understood everywhere in the world, and also because I grew up listening to american rap, exclusively. So, I don't know how many opportunities this country can give to me, but it's ok: I've got some offer to work in the U.S., they contacted me for some local concert, my music is regularly played in local radio stations everywhere in the world, I'm just taking my steps! I'm waiting for the best opportunity to come to my table. Oh, and I'm glad to say a lot of italian people show me love, too (despite, like I said, they're not that much into it). Italy will always be my home: I can travel everywhere in the world, produce my music and give performances in all the four angles of the globe, but my country is the place where I rest at, where I can see familiar faces and just happily chill. In your everyday life, are you still ''stuck'' to hip-hop, or also in other music styles? I listen to many different types of music: pop, rock, classical... Everything. I'm very open minded when it comes to music, as long as it's high quality music. In particular, I often listen to Freddie Mercury and Queen, Nirvana, Guns N Roses or Mozart, Bach, Beethoven... Just too many to mention. I'm not stuck with a genre, as long as it gives me emotions. My first love is and will always remain rap, anyway. Period. What is your opinion about YOUR Music? I wanna thank YOUR Music for the chance they give to newcomers to be known worldwide. I believe it's very important for companies like that to monitor young talents and give them the space they deserve to show what they got. It's a wonderful thing, So I really wanna thank them.